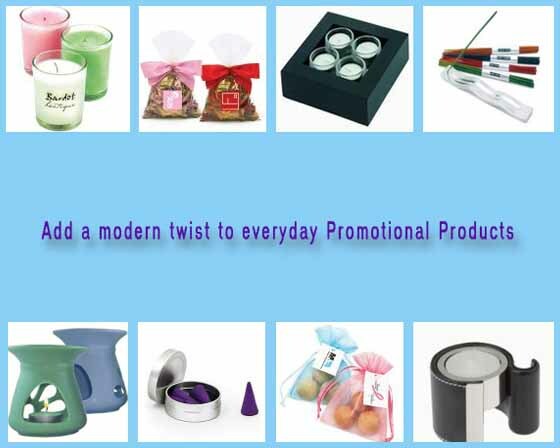 Customized Promotional Candles & Aromatherapy products are a classy and modern way to promote your Brand, from Custom Printed Candle Sets, Branded Oil Burners, Fragrant Potpourri and Customized Incense sticks Vivid Promos can meet all of your Aromatherapy needs with a product custom made for you. Candle Gift Sets are great for any occasion with various candle scents and colours to choose from. Customized Candles in Ceramic Holders, Full Colour Shiny Nickel Plate Candle Holder Sets, Printed Wooden based candle gift sets with up to 4 tea light candles. Fashionable Glass Votive candles are custom made to order with your choice of pad printing or a digital label. Vanilla Scented Candles are always a winner; enjoy the relaxing scent floating around the room within the office or at home! Incense Gift Packs come in a wide range of custom made gift packs or Shot tubes with an ash catcher available, Engraved Incense Travel Tins are a neat little pocket sized giveaway- sleek and stylish and will always be remembered. Branded Perfume Atomizers in a polished chrome sprayer makes an elegant personal accessory and also comes with a refill. The printed Outdoor Stainless Steel Oil Lamp is handy for outdoor bbq’s to keep the bugs away, along with our Promotional Citronella Candles which are available in circular tins with your choice of branding. For an environmentally friendly Candle option, opt for the Soy Wax Candles as an alternative to your everyday beeswax Candles, Soy Wax Candles are made from all natural ingredients, create less soot and are 100% non toxic so you can keep it burning around your office or home without having to worry about inhaling any hazardous fumes.